Long Beach, CA, the home of genre torchbearers, Sublime, is the epicenter of the American Reggae genre. With a lineup that pays homage to the long-lasting legacy of Sublime, it is only fitting the One Love Cali Reggae Fest takes place in the city of Long Beach. 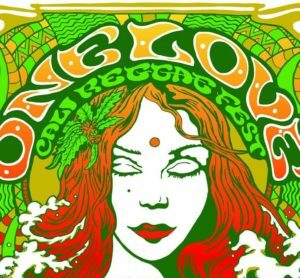 What started out as a single day festival on the grounds of The Observatory in Santa Ana, The One Love Cali Reggae Fest has matured into a three-day, fully-loaded, must attend event at The Queen Mary on February 8th, 9th and 10th, 2019. Many bands will be returning from past years, including Slightly Stoopid, Rebelution, SOJA, Stick Figure and Dirty Heads, among others. But, the overall depth of talent spread across the three-day festival is impressive. This year’s lineup features some of the top talent from Jamaica. King Yellowman, Lee “Scratch” Perry, Don Carlos and Morgan Heritage will be live and direct from So Cal. One Love will also include a plethora of acts that will be coming from the islands of Hawai’i and New Zealand, such as J Boog, The Green, Katchafire, Fiji, Mike Love, Anuhea and Sammy J, amongst others. Needless to say, this festival possesses a pretty stacked lineup, and that is before mentioning the likes of roots legends Groundation, the host city’s prodigal sons, Long Beach Dub All Stars, Dispatch, Atmosphere, punk-rock veterans, Fishbone, Mad Caddies and plenty more. Whether someone enjoys roots, dancehall, dub, rock, ska, punk, hip hop, folk or acoustic music, this festival will satisfy your concert craving. It is easy to see why One Love Cali Reggae Fest has quickly become a destination festival for bands and fans, alike. Tickets are currently available, beginning at $85 for single-day tickets and $199 for 3-day passes. For more information on the 4th annual One Love Cali Reggae Fest, follow the links below.